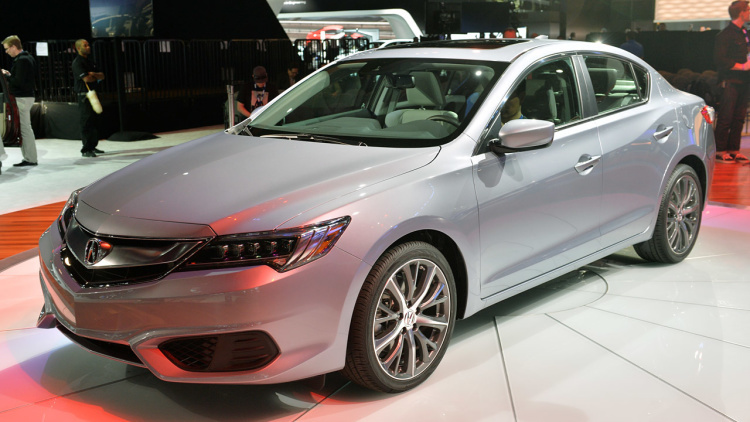 Acura ramps up and rolls out the 2016 ILX! Acura’s first new sport sedan, the 2016 ILX, came hot off the assembly line and into our showroom here in St. Catharines. The redesigned and restructured model provides more performance, advanced technology and a refinement of luxury compared to previous versions. This year is the 20th birthday of the ILX’s production in North America, so the introduction of the ILX is another exciting stage in our history with the Acura brand, “said Rob May, plant manager. “Our associates are applying their vast experience in manufacturing high quality Acura products and taking advantage of TLX and ILX in a new production plant to meet the expectations of our clients.” he added. The production of the Acura ILX, the gateway to the Acura sedan line, started in 2012 in the company plant in Greensburg, Indiana. Now it will be built alongside the Acura TLX, Acura’s other, more-volume luxury sedan, who’s latest model released last August. The Marysville auto plant has made significant investments to improve the quality of the Acura sedan launching the TLX and continue to improve international quality standards for Acura customers with the launch of the new ILX. “Reaching two million sales of North America manufactured at the start of the production of the 2016 in the automotive plant Marysville is a great omen for the Acura brand,” said Michael Accavitti, senior vice president and general manager of The Acura Division. Come check out the Acura 2016 ILX at Performance Acura on Lake Street in St. Catharines today!.